Thomas Kuhn began his career with Merck KGaA in 2000 where he held various positions in clinical development, mainly in the therapeutic area of Type 2 diabetes and was responsible, in particular, for forging partnerships with Japanese pharmaceutical companies. Between 2004 and 2007, he directed Merck’s global R&D projects with two products in Phase 2 clinical trials and all the life cycle management projects primarily for Glucophage®, the current reference in diabetes treatment. Following Merck’s acquisition of Serono in 2007, Thomas Kuhn was part of the team which refined Merck Serono’s strategy for divesting from the diabetes therapeutic area. Thomas Kuhn initiated and concluded the project for the transfer of Merck Serono’s assets under development in Diabetes to a new legal entity called Poxel. 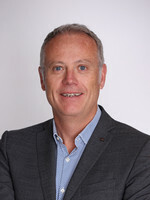 Since this transfer, Thomas Kuhn has been Poxel’s Chief Executive Officer. Mr. Kuhn holds a pharmacy degree from the University of Lyon I (France) and an MBA from Ashridge Business School (UK). Prior to joining Poxel, Anne Renevot served as CFO of EOS Imaging where she played a key role in EOS’ successful IPO on Euronext Paris, which raised €39M. At EOS Imaging, Ms. Renevot helped to raise capital through private placements, equity lines and debt offerings. She was responsible for financial regulatory compliance, financial planning and communications, and she also held leading roles in the Company’s acquisitions and partnerships. Before her appointment at EOS Imaging, Ms. Renevot served at Cartier, a luxury goods company, as CFO of Cartier Joaillerie Manufacturing Division and as International Financial Controller. Earlier in her career, Ms. Renevot served as Manager at EY Audit and as a Division Controller at Legris Industries. Anne Renevot received a bachelor’s degree in finance from Audencia Business School in Nantes, France and a master’s degree in corporate finance from Ohio State University, Columbus, Ohio. Noah D. Beerman joined Poxel in 2015 and has over 30 years’ experience in the biopharmaceutical industry, including building and financing public companies, strategic planning and management, negotiating global/regional partnerships, and completing M&A transactions. He began his career serving in a number of scientific and business roles at Repligen, Sandoz, Curis, and Technology Management & Funding. Mr. Beerman then joined Indevus Pharmaceuticals in 1997 and worked there through the sale to Endo Pharmaceuticals in 2009. At Indevus he was responsible for multiple licensing, co-promotion and M&A agreements, establishing an industry-leading profile in corporate development as Chief Business Officer. 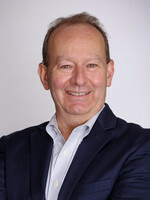 Subsequently, he was President, CEO and Director of RXI Pharmaceuticals from 2009 through 2011, and Executive Vice President and Chief Operating Officer at Coronado Biosciences (now Fortress Biotech) from 2011 through 2013. Prior to joining Poxel, Mr. Beerman served as an executive consultant in the biopharmaceutical industry, and Director on the Board of Trasir Therapeutics. Mr. Beerman holds an MBA from Northeastern University's High Technology Program and a Bachelor of Science in Molecular Genetics from the University of Rochester. Dr. Arbet-Engels has more than 25 years of experience in life sciences, academia and industry. 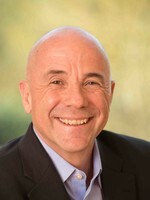 Dr. Arbet-Engels’ leadership at several large pharmaceutical companies encompasses clinical development and registration, launch and lifecycle management for several innovative drugs for the treatment of diabetes, metabolism and cardiovascular diseases, including Lantus® (insulin glargine) and Jardiance® (empagliflozin). Most recently, he was Vice President, Worldwide Medical, Collaborative Medical Sciences at Biogen, driving strategy and execution of Phase 3b/4 life cycle management activities. 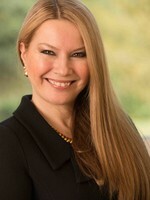 Prior to Biogen, Dr. Arbet-Engels worked in senior leadership positions in clinical development and medical affairs at pharmaceutical and biotech companies, including Boehringer Ingelheim, Roche, Merck, Aventis (now Sanofi) and Ligand Pharmaceuticals. In addition, Dr. Arbet-Engels served as a Medical Advisor to MedNest, provided expertise to the Gerson Lehrman Group, and worked as French Foreign Trade Advisor for the French Government to advise and support French or other startup companies develop their business in the U.S. Dr. Arbet-Engels has a medical degree from University of Paris Sud, a PhD in endocrinology/diabetes and metabolism from Paris Descartes University and a master’s degree in business administration from Rutgers University. 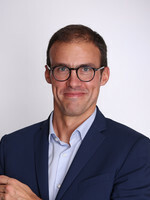 Sébastien Bolze has broad experience in drug development from discovery screening to first-in-man clinical trials. Dr. Bolze was global head of the preclinical candidate selection unit at Solvay Pharmaceuticals, a multidisciplinary unit providing support to research projects from optimization of validated hits to delivery of candidates for preclinical development. From 2003 to 2006, he was executive head of the ADME department at Fournier Pharma. He acquired strong organizational and managerial experience in research projects within a multidisciplinary and global environment. Dr. Bolze has also co-authored numerous research publications and posters. Dr. Bolze is a Pharmacist and holds a PhD in Pharmacokinetics and Drug Metabolism from the University of Lyon I (France). Sophie Bozec joined Merck KGaA in 1998 where she managed a drug discovery team in a pharmacology department. Dr. Bozec has acquired a strong experience for managing research projects from target identification to preclinical development candidates. She has developed her knowledge in models (in vivo and in vitro) used in research programs for identifying preclinical development candidates in the diabetes field. She acquired a solid expertise in metabolic diseases particularly in the diabetes field. This experience in pharmacology led Dr. Bozec to support a clinical development compound for all preclinical pharmacology aspects. Dr. Bozec holds a PhD in Nutrition, Metabolism and Obesity from the Paris VII University. 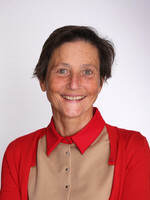 Pascale Fouqueray joined Merck KGaA in 2000 from Paris VII University, where she was Assistant Professor of physiology. At Merck KGaA, Dr. Fouqueray's activities were centered on metabolism, with a particular focus on diabetes and obesity but also including lipids and uric acid metabolism. Dr. Fouqueray was responsible for the clinical development of compounds for the treatment of diabetes and gout disease, working on strategies to define and reach proof-of- concept and investigate mechanisms of action. 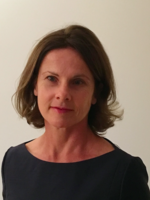 Dr. Fouqueray graduated from medical school at the University of Angers (France) and then specialized in Endocrinology and Metabolism at the University of Paris V. She holds a PhD from the University of Paris XI. Ms. Barnes has 20 years of experience in the pharmaceutical and biotechnology industry. Her experience in strategic investor and corporate communications spans the full life cycle of drug development and commercialization. 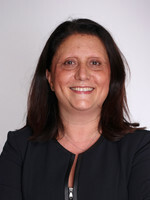 She began her career at Sepracor (now Sunovion Pharmaceuticals; acquired by Dainippon Sumitomo Pharma Co.), a specialty pharmaceutical company, where she held a series of progressively responsible management and executive roles over a 14-year period and most recently served as Senior Vice President, Investor Relations, Corporate Communications and Internal Communications. Ms. Barnes has also served in senior leadership roles at Agenus, an immuno-oncology company and Vision Medicines, an ophthalmology-focused company. Jonae holds a bachelor's degree in political science from Suffolk University and master's degrees in financial economics and multinational commerce from Boston University. Senior Vice President Medical and President of Poxel Japan K.K. Dr. Kaneko has over 33 years of experience, which includes pharmaceutical industry experience with a focus on medical affairs and clinical development ranging from product evaluation, development and post-commercial launch, and clinical practice and medical research experience. Prior to Dr. Kaneko’s role at Poxel, he was Head of Medical Affairs at Janssen Pharmaceutical K.K. Prior to Janssen Pharmaceutical K.K., he was the Department Head of the Medical Excellence Department in the Medical Division at Novartis K.K. Dr. Kaneko also held several senior-level positions at Santen, which included the areas of Compliance, Global Clinical Development and Medical Affairs, Head of Global Research and Development as well as other research and development-related positions. In addition, Dr. Kaneko was a Vice President, Medical Director at Sanofi-Aventis K.K., and served in clinical development roles at Bristol-Myers K.K., BMS, Japan. 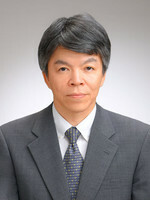 Dr. Kaneko holds an MD and PhD degree from the University of Tokyo, Tokyo, Japan.